the sun was bright, and the daytime temperature was around 60 degrees. and try a sandwich joint that was new to us. We each had a Finger Lickin' Fried Chicken Sandwich. drizzled with honey butter glaze, lettuce and roasted garlic mayo. We shared an order of french fries. It did not disappoint, the sandwiches were delicious, I loved that the chicken was dark meat. 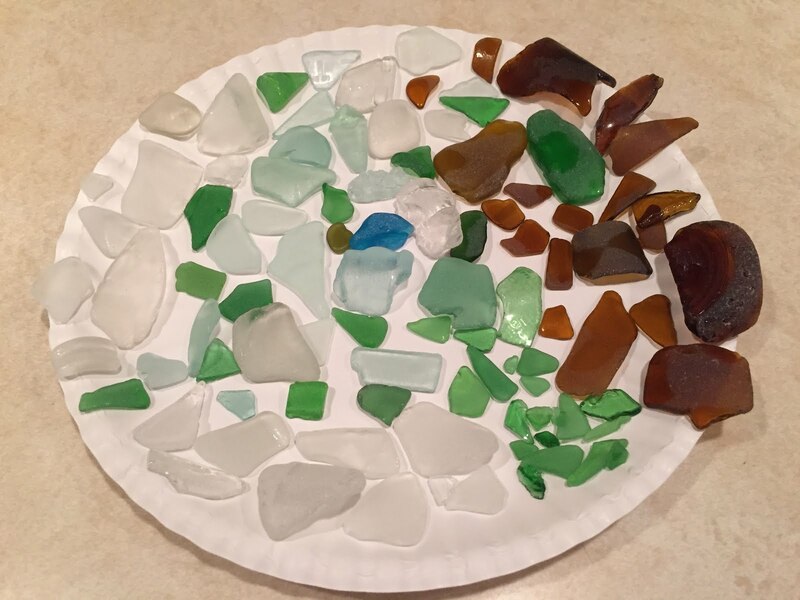 The ocean was very generous...we found all of this sea glass in about an hour. Some of the colors were really beautiful. the other is right next to it in white. The find of the day was the bright blue piece, the hubs found that one! 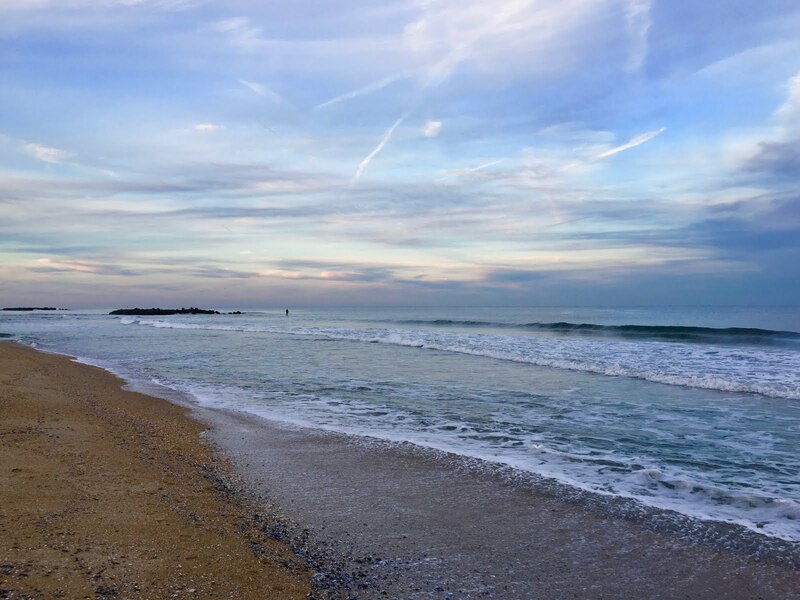 the sky was showing off a little color and there was a paddle boarder making his way on the water. It was starting to get dark, I hope he made his way back safely! 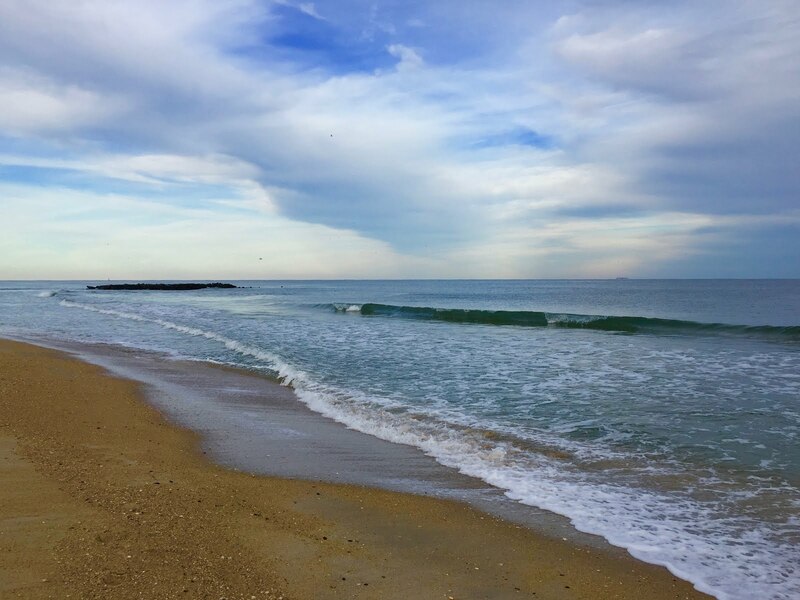 New Jersey must be the sea glass capital of the world! Great haul! So many different views of the ocean but all pretty. Beautiful beach scenes.The glass is so pretty. You did well with the sea glass, and such lovely colours. I bet you were glad you got out of the house, always fun to try out a new place and to end up at the beach with a bounty like that, well it can't get much better. Love the colors in the sky in the last picture, beautiful way to end the day! It looks like such a lovely day at the beach. 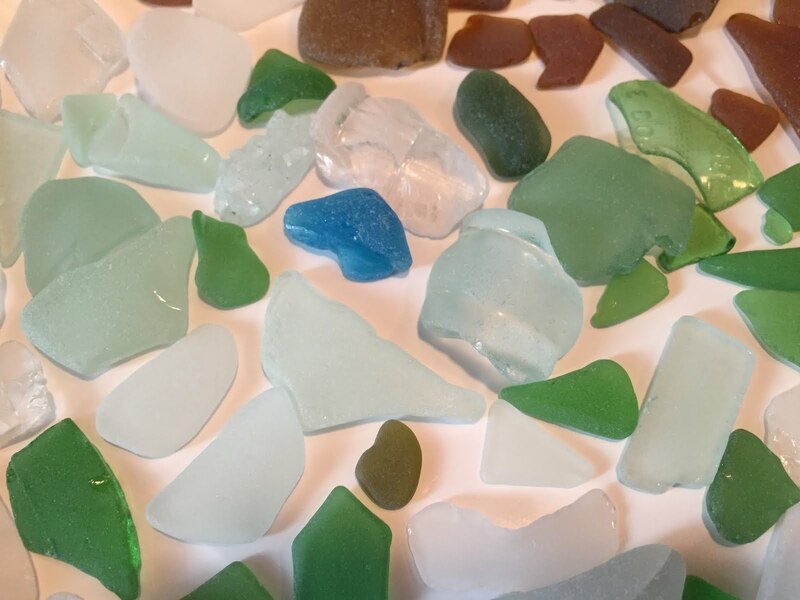 I love the Sea glass you found. The blue one is very beautiful. I think this is such a fun hobby for you. The lunch sounded yummy! I think I need to go make a chicken sandwich now. Sending loving thoughts and hugs! Lots of pretty glass, the bright blue one stands out. - What a lovely scene at the end. I miss the ocean.